Sometimes I wonder whatever happened to common sense and logic. Yesterday evening, the news broke that Chelsea had, once again, been charged by UEFA after incidents that occurred during their Europa League fixture, against Malmo, on Thursday evening. With, as far as Chelsea are concerned, UEFA are operating with an iron-fist, the charges levelled at us relate to a field invasion by a supporter and the throwing of objects. Now we’re not condoning the second half of the charge sheet but when it comes to the first charge, that of field invasion, we don’t believe Chelsea were at fault. The invasion related to one fan running on to the pitch and making his way towards Eden Hazard, pursued by a group of stewards. 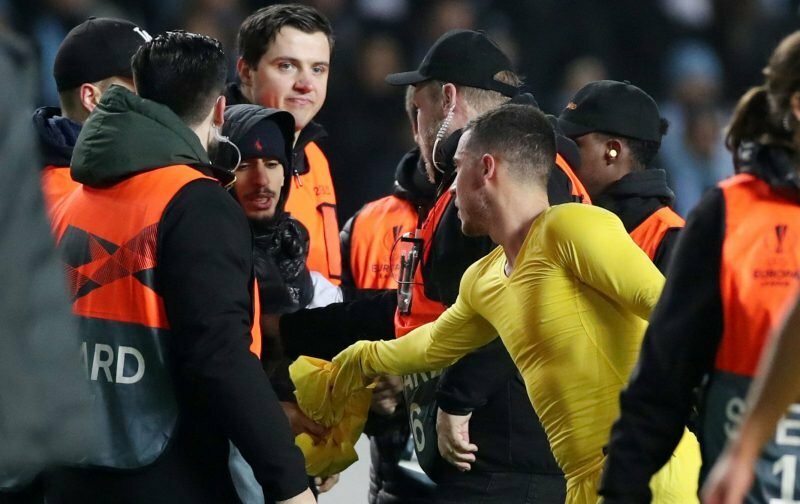 Okay, there may have been concerns for Eden’s safety but, as it turned out, the supporter only wanted Hazard’s shirt, with, after a struggle with the stewards, Hazard duly obliged. But, here at Vital Chelsea, the thing we find most annoying is that the pitch invader came from the home end! 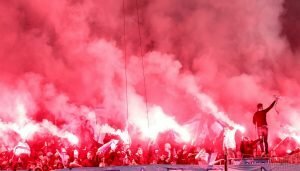 Perhaps, far more attention should be paid to the Malmo fans who, despite security measures being in place, managed to create a wall of fire and smoke courtesy of numerous flares. Malmo, as you have hoped, have also been charged by UEFA, with their charge sheet relating to the flares and also the throwing of objects. But, it’s Chelsea, once again, who the media focuses on! Once again, the club will be asked to defend its actions at a disciplinary hearing, the latest one is set for 28 March.